Magento 2 Review Reminder extension provides a handy tool to remind customers to share product comments by automatically sending them review reminder emails. In fact, online customers tend to look through reviews before deciding to place any orders. Thus, reminding your customers to leave reviews for their purchases with Magento 2 Review Reminder extension is an effective way to market your products to other customers and elevate your brand’s reputation. Check out Advanced Review extension to empower review display or Import Export Product Review to import and export reviews via a CSV file. Magento 2 Review Reminder extension sends automated review reminder notification to the customer’s order email based on the rules and conditions in the backend setting. 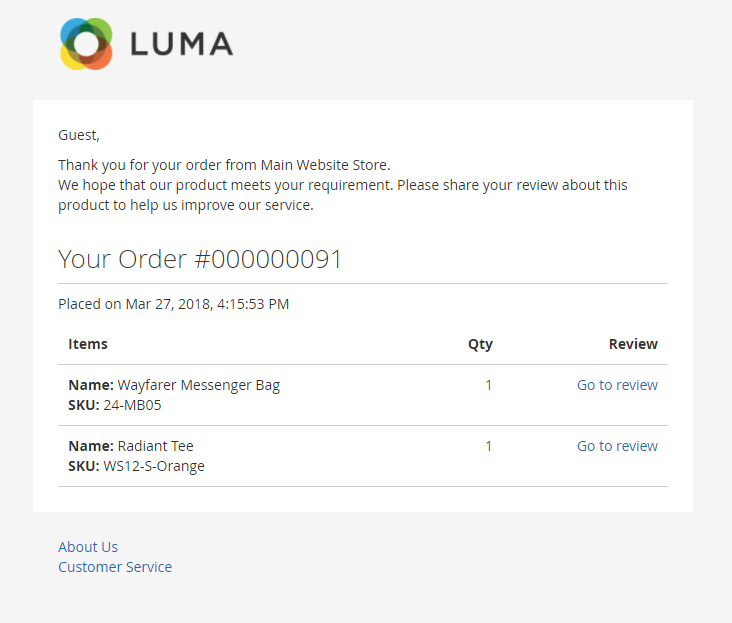 When a customer finishes placing the order, the email and order information is included in review reminder log. Not only can admin track the created date, number, and email of orders, but they also preview, manually send review reminder email, or remove order emails from logs as needed. Moreover, Magento 2 Review Reminder extension also allows the mass action to save time. To make use of review reminder emails, it is important to set a specific period for the first delivery after customers finish their orders. Normally, admins should schedule several days before sending emails so that the buyers have time to explore the products themselves. Besides, order emails automatically disappear from Magento 2 Review Reminder Logs when reaching a specific period set in the backend. When customers leave their first review on your products, let’s generate a reward to thank them and make happier buyers. With the help of Magento 2 Review Reminder extension, admins can send their customers coupons in the chosen template which definitely improve more coming back. Why Is Magento 2 Review Reminder Extension Your Must-Have Extension? According to a survey report by A ZenDesk, more than 80 percent of online customers, when making a purchasing decision, have been affected by others’ product feedback on sites. Customer reviews can increase your revenue more effectively than a paid advertisement. However, those reviews are hard to get as customers tend to forget after leaving your websites. 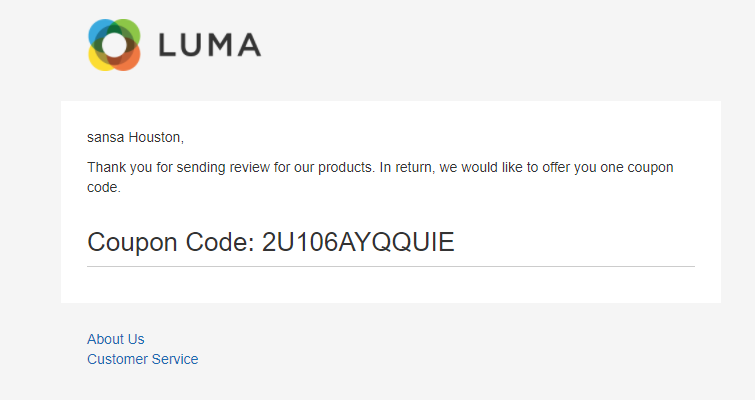 Just use Magento 2 Review Reminder extension to send buyers follow-up emails to reminder product reviews and reward them with attractive coupon. Not only are ordered customers happy to keep in touch with sites, but potential customers also feel trust to place an order. Instead of manually send one-by-one emails to ask customers for product reviews, admin can automatically deliver reminder emails for each product ordered from sites by the configuring in Magento 2 Review Reminder backend. This module reduces time and enhances email management at the same time. Magento 2 Review Reminder by BSSCommerce frees me from hours sending customers emails to get product review! I checked several review reminder extensions from other brands but your extension stands out the most. Both basic and advanced features, still the price is low.